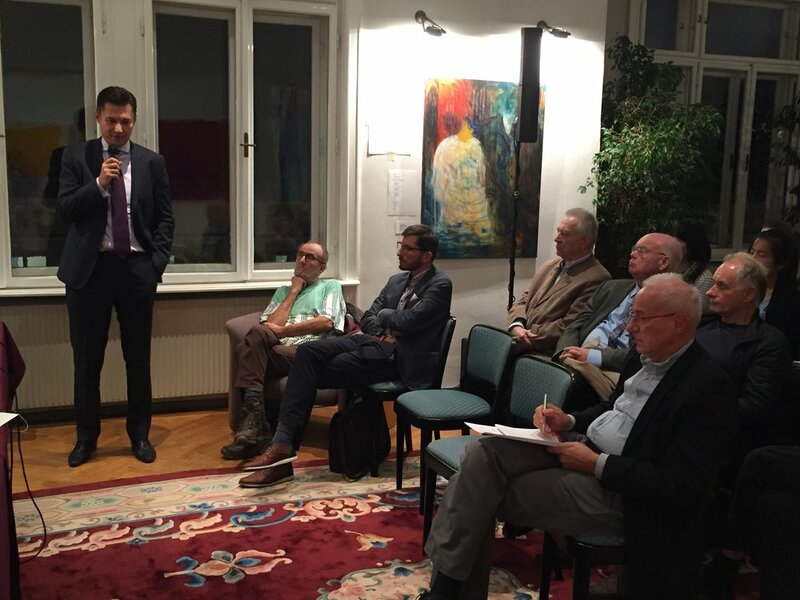 This paper is based on the outputs of the expert workshop ‘Settling the Ukrainian Crisis: Learning from the Past – Looking to the Future’ that took place on October 4th 2018 at the International Institute for Peace (IIP) in Vienna. The video of the public discussion that took place within the framework of the workshop is available here. The conflict in Ukraine that started with peaceful protests in Kyiv in late 2013 and led to the overthrow of the government, the annexation of Crimea by the Russian Federation and a war in the East of the country backed by the Russian Federation, has claimed more than ten thousand lives. Over two million Ukrainians fled from the conflict zone, leaving behind their homes and resettling in other parts of the country or even going abroad. Others, however, have stayed in the conflict region and are now living in dare conditions marked by frequent violence, restrictions on movement of civilians, shortages of water and social services, and poor infrastructure. While any peaceful settlement and reintegration of eastern Ukraine with the rest of the country is nowhere close in sight, it is imperative to start preparing the grounds for a settlement deal today. A UN interim administration of Donbas may be such an option and therefore it should be more closely explored. Moreover, the needs of civilians living in the conflict areas must become a top priority for the international community and the Ukrainian government, with more resources being channeled for humanitarian purposes. Finally, there will not be any peace without the Ukrainian people accepting it. For this to be achieved, highly divisive and hostile narratives should be avoided in the Ukrainian public discourse and grassroots work with local communities needs to be accelerated. Successes and failures of peacemaking and reconciliation process in the Western Balkans offer many apt lessons for Ukraine. The conflict in Ukraine and any potential resolution is complicated by its multidimensional character. On the geopolitical level, Ukraine has become a battleground for global actors who are struggling to adapt to the emerging post-bipolar system in world politics. On the regional level, the conflict between Ukraine and Russia is a symptom of disintegration of the post-Soviet order, with Russia being at its center and Ukraine and other former Soviet republics Moscow’s satellites. On the national level, however, the conflict in Ukraine is a manifestation of the deep disappointment of the public with the political and institutional system in the country, corruption and oligarchy among the elites. Furthermore, Ukraine is still in the process of state- and nation building, taking into account its historic affiliation with the Russian Empire and later with the Soviet Union. Another challenge posed to resolution efforts is profiteering from the conflict. Certain actors have learnt to make business out of war and use the situation to their political advantage and therefore, they are interested in maintaining the status quo. Those actors include not only the Russian government, whose strategy of internal destabilization has been already applied to a number of countries in Moscow’s ‘near abroad’, or separatist groups in Donetsk and Luhansk regions. Some parts of the Ukrainian establishment also have political and economic stakes in the lingering conflict, as the stabilization in the country that the settlement of the conflict in the East could bring would mean an end to their political careers, or even criminal prosecution. In addition, the 2019 presidential elections in Ukraine have also reformatted the debate in the country, with the aspiring candidates involved in power struggles and political campaigning rather than in seeking solutions for the conflict. While the special status of Donbas was extended in the Ukrainian parliament until 2020, it was largely done so due to the pressure of the US and the EU. It is also revealing that the party of one of the frontrunners in the upcoming election, as well as its leader Yulia Tymoshenko herself, voted against the extension of the law. Public opinion on the conflict in eastern Ukraine is also rather divided. While the majority of the population is supportive of the settlement, there are significant differences in the vision of how it should be achieved. While 25% would agree to a settlement at any cost, another 25% want to take the non-controlled territories back by force[i]. Any unexpected or radical proposals of a solution could significantly undermine the chances of the presidential hopefuls of winning the race. Any peace settlement in Ukraine should inevitably be done on a multi-lateral basis, involving not only Russia, but also the United States as well as some EU countries. Currently, there is no international platform that is able to effectively deal with the conflict. The Minsk Agreements are effectively in a deadlock. The very broad formulations that it entails do not provide sufficient details to when, what and how its specific points are to be implemented, allowing both Russia and Ukraine to sideline the deal and blame each other for non-compliance. The Normandy format was originally meant to increase the EU’s role in the negotiation process. However, it has been minimized since, due to internal political challenges that the EU is facing today, as well as lack of unity among the member states on the EU’s position vis-a-vis Ukraine and Russia. For some, it even remains a question whether the EU as an institution should be involved in any peace deal at all. While the reasons for Maidan protests go much deeper than disappointment with President Yanukovych’s refusal to sign the Association Agreement with the EU, this event served as a trigger for the civil unrest. Therefore, the EU is still seen by many in Ukraine as part of the problem rather than its solution. What concerns the OSCE involvement, its Special Monitoring Mission is limited strictly to monitoring activities as well as keeping up the dialogue between the conflicting parties along the contact line within the separatist-controlled areas. Establishment of a UN peacekeeping mission in Ukraine could move the process forward. While the US and the EU strongly support it, with the United States Special Representative for Ukraine Kurt Volker recently stating that it could ‘unlock the implementation of the Minsk agreements and lead to restoration of Ukrainian control of territory’[ii], for such a mission to be established all the actors need to be onboard. Ukraine has also repeatedly called for establishing a UN peacekeeping mission, however not on Russian terms. The proposal that was tabled by Russia last year was criticized by Kyiv, as well as Washington, since the sole purpose of the UN peacekeepers under Russia’s proposal would be to protect the OSCE monitors close to the contact line, but not to restore peace and reintegration into Ukraine of the Donbas region. However, the fact that both the United States and Russia support such a mission in principle, might become a first step towards a more constructive discussion. At the same time, the international political environment is hardly conduciveto any such negotiations at the present moment. Relations of the US and the EU with Russia have reached their new low in 2018 in the aftermath of chemical attacks in Syria allegedly authorized by Bashar Assad’s government and Sergey Skripal’s poisoning in the United Kingdom. Thus, with the window of opportunity for negotiation narrowing on the international level, Ukraine is currently in search of a new format that could allow for some progress on the diplomatic level. While armed clashes in eastern Ukraine have not been brought to a halt until today, structurally it is already a frozen conflict. This reality needs to be accepted and dealt with accordingly. For one, the needs of the civilian population living in eastern Ukraine must become the Ukrainian government’s and the international community’s top priority. Demining of the territory around the contact line has been long overdue. The mine explosion near Horlivka in September that left three schoolchildren dead and one wounded is a tragic reminder of that. International organizations, such as Red Cross and UN agencies are the main humanitarian actors in eastern Ukraine. Financed largely by the European Union, they provide essential humanitarian assistance to the local population which, however, needs to be stepped up. Civilian needs, such as proper medical care and shelter, access to education for school children, creating jobs need to be invested in in the situation where any political progress on the conflict remains in a distant future. At the same time, attempts and possibilities for a settlement should be explored. The conflict of multi-dimensional nature needs to be tackled on all its levels. On the global level, one of the options that should be explored is the establishment of a United Nations interim administration of Donbas[iii]. Such an administration would be accepted by all the sides and thus would help implement all the points of the Minsk Agreements. It would be very helpful, among other things, in the disarmament process, especially with regard to extracting small firearms that no party to the conflict would otherwise be willing to take over. It would also make it possible to hold elections in the Donbas region. There are several examples of similar UN interim administrations, the most relevant of them for the Ukrainian case being the UN Transitional Administration in eastern Slavonia, Baranja, and Western Sirmium (UNTAES) that operated in 1996-1998 and contributed to the successful reintegration of the regions controlled by Serbs back into Croatia. At the same time, the cost of such an effort in Ukraine would by any estimates be incredibly high, amounting to about 40 000 personnel. To compare, the whole UN peacekeeping force that is currently deployed to the existing 14 missions consists of somewhat over 103 000 staff. It should also be noted that such an international administration would be effective only if the job is done on regional and national levels too. The Russian endorsement of any interim administration is indispensable, along with other key international players. Thus, while any potential Russian-Ukrainian dialogue on the settlement process in eastern Ukraine is still seen by many as bringing no fruit, if not as betrayal of Ukraine’s interest, without it no progress can be achieved at all. The longer there is no dialogue, the more fixated the status quo becomes in the minds of decision makers on all levels and the more difficult it will be to think of alternatives to it. On the national level, Ukraine needs to complete the reform process, building up a resilient state that is attractive to its citizens, including those living in the non-government controlled areas in the East. The experience of Bosnia and Herzegovina is the case in point. While the Dayton Agreement ended the war, it was not meant to build state institutions. This resulted into state capture after the war and in three nationalistic political blocs now running the country. A crucial lesson that the decision-makers in Ukraine should draw from this case is that institutional building is essential for the reconciliation efforts and it needs to be realized by the state itself, and not by external actors. Another important aspect that needs to be tackled on all levels, but especially nation-wide, is narratives. In the country that is in the state of war it is easy to indulge into inflammatory speech and negative generalizations about the aggressor, especially when this is the tactics that the other side also employs. The narratives in Ukraine about Russia are no exception to that. Precision when speaking about the ‘Russian enemy’ in the Ukrainian public discourse is necessary. What is this enemy? The Russian people? The government? The political system? President Putin? Sweeping statements and negligence of such details contribute to nothing else but creation of new dividing lines in the Ukrainian society. In this respect, language divides between Russian- and Ukrainian-speaking Ukrainians is another area with artificially assigned political meaning. The language and ethnic variety that exists in Ukraine should be viewed as an economic and cultural advantage, rather than a problem. Ultimately, with many barriers impeding progress on the global, bilateral, or national levels, there is definitely a lot to be done at the local level. The Ukrainian people are the ones who will be involved in the reconciliation process within their communities. They are the ones who are going to live under the settlement agreement if and when it is reached. They are the most important agents of peace. As John Paul Lederach’s peacebuilding pyramid vividly demonstrates, peacebuilding efforts on the local level affect the largest number of people. Therefore, working with local communities and grassroots organizations, providing psychological services and reintegration programs for former combatants is of utmost importance and these efforts need to be undertaken already today. Another important group that needs to be addressed is the youth. As the Balkan experience shows, the reconciliation process takes generations, so it is vital to engage young people in peacebuilding efforts, teach them nonviolent conflict transformation and solidarity today so the decision makers and leaders of tomorrow do not reverse to hostility, violence, and rewriting of history. [iii]Vasyl Filipchuk, Anatoliy Oktysiuk, Yevgeniy Yaroshenko (2017). International Interim Administration as a Model for Conflict Resolution in Donbas, The International Center for Policy Studies (ICPS).